If you've read the last few posts you'll see that I've quickly been changing my tune on vinyl, record shops and the like. So when I spotted a flyer in town for the Exeter Record Fair, well I just had to have a snoop around. I've got to say that yes, it was a bit geeky but... it was great. I only went in there to try and find Doolittle by The Pixies but it soon became apparent that a trawl through miles of vinyl was not on the cards, not with my 10 year old daughter in tow. 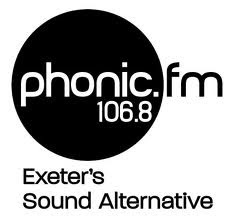 I popped over to the Phonic FM stand (well, got to support my own station) which was selling CDs donated by the DJs to raise funds and found hundreds of CD singles, all for 10p each! 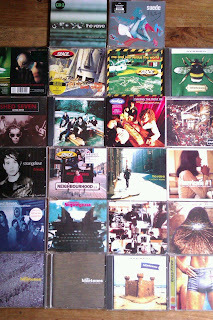 What's more there was loads of 90s stuff in amongst it and I picked up a couple of dozen singles for a shade over £2. I hadn't thought about CD singles before but from my perspective they are ideal. 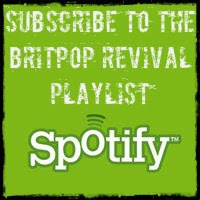 Of course I've got the big albums of Britpop (and Spotify helps to fill in a lot of gaps) but I'm always looking for something a bit different to play on my shows, something that the listener might not have heard before. And that is where the CD single comes in, not for the single itself but for the B-sides and the remixes. And because the value is so low now its hardly worth buying them through Amazon/Zoverstocks as you would a second hand CD album, which is why the record fair is the perfect environment to find them. 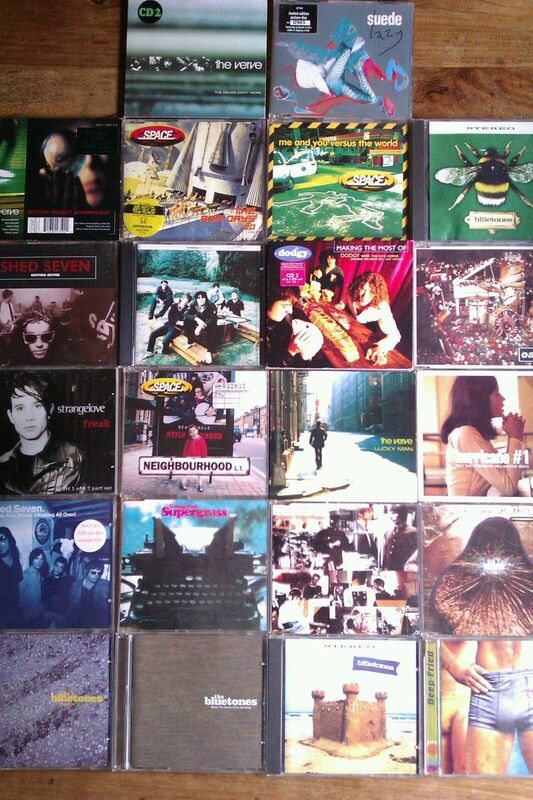 This is the haul from my trip and I'll be playing a selection of them on my show this Sunday on Phonic FM, 2pm to 4pm.